We have created this Sample Set to help you make an informed decision as to which of the Twist-N-View™ charts will work best in your environment. The set includes 6 charts (4 Image, 1 Display, 1 Double-Twist) ready to use, plus a dry wipe marker pen. This offer is restricted to one Sample Set per address. We offer breakaway devices and/or anti-bacterial cord as optional extras. 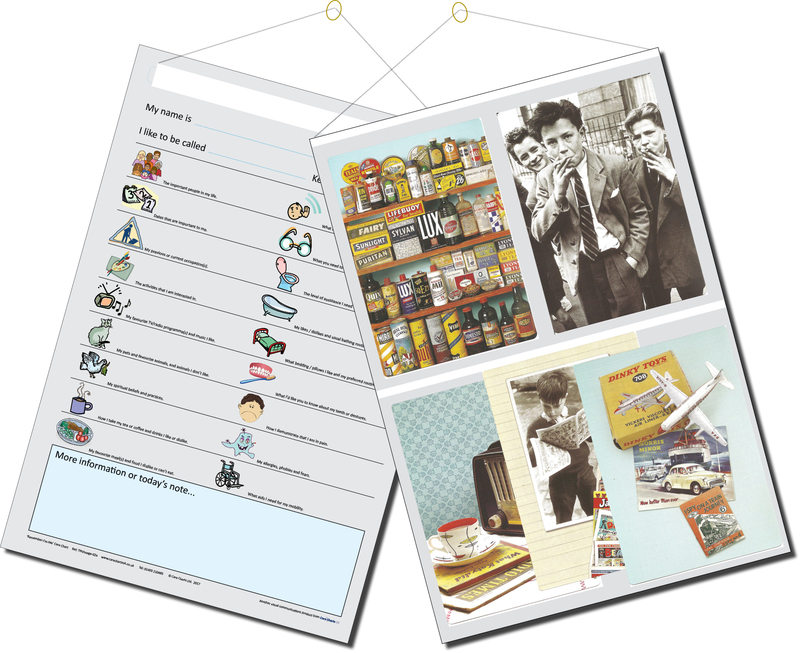 Please call 01403 210485 or email enquiries@carechartsuk.co.uk if you would like to see examples of these. 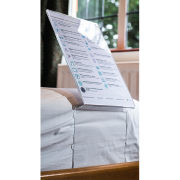 All three styles of Twist-N-View™ operate on the same principle: they are designed to be displayed in an individual’s bedroom with a picture or general information on view for most of the time, and space for needs and preferences to be written on the reverse. Prompts help carers and family provide appropriate information, and just wipe clean the surface to update the information whenever necessary. 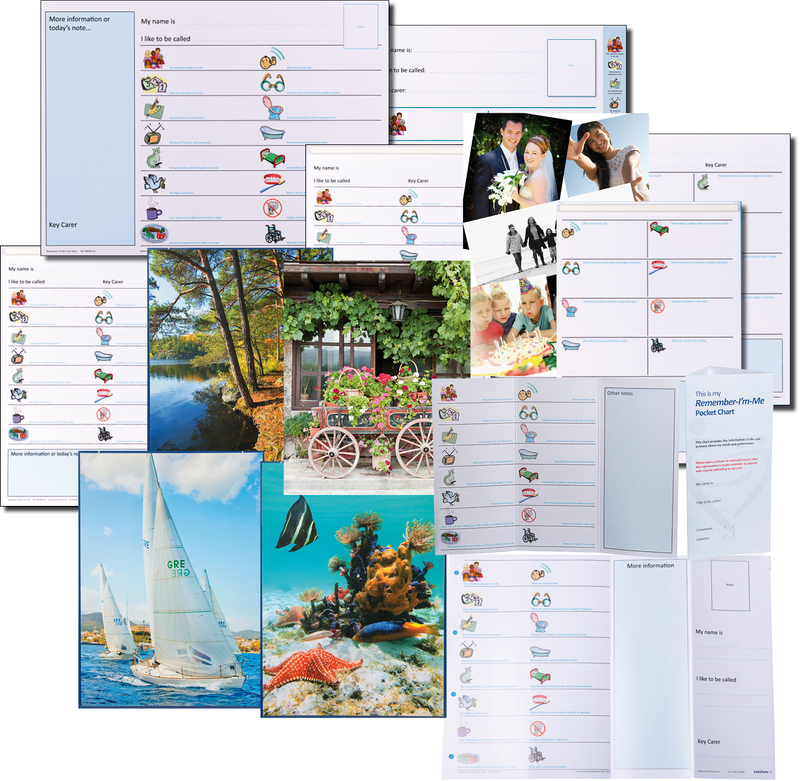 The ‘Display’ version provides a clear plastic pocket for you to insert whatever you wish, for example a selection of photos or further care information, and has space for an individual’s needs and preferences to be written on the reverse. The ‘Image’ version functions as an attractive picture to be hung on an individual’s bedroom wall, and has space for their needs and preferences to be written on the reverse. 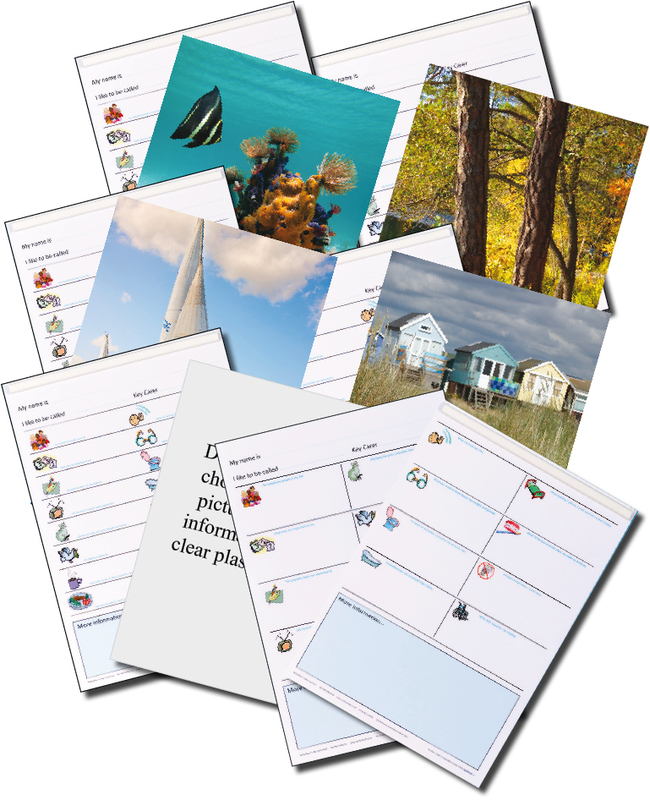 The Twist-N-View™ Image wall chart is currently available with a choice of 4 pictures: Tropical Fish, Lake Scene, Beach Huts and Sailing Boats. 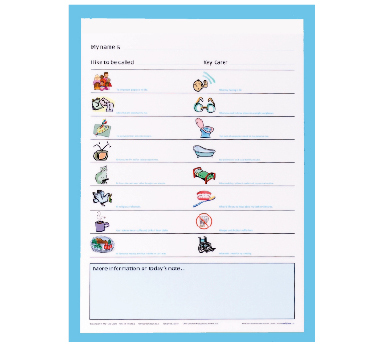 The ‘Double Twist’ version splits the standard symbols across the two sides of the chart: symbols with prompts for information that is not sensitive on the front, and space for more personal information on the reverse. Pack contents: 1 x TNV Display Wall Chart; 1 x TNV Double Twist Wall Chart; 1 x TNV Image: Sailing Boats Wall Chart; 1 x TNV Image: Lake Scene Wall Chart; 1 x TNV Image: Beach huts Wall Chart; 1 x TNV Image: Tropical fish Wall Chart; 1 x dry wipe marker pen.